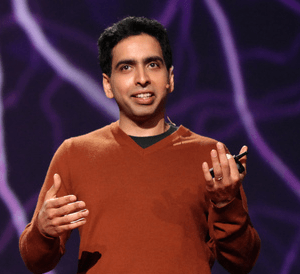 36-year-old Sal Khan was born in New Orleans, his father from Bangladesh, his mother from India. Khan holds four degrees—Bachelor of Science Degrees in mathematics, electrical engineering, and computer science—as well as a Master of Science degree from MIT in electrical engineering & computer science, and an MBA from Harvard Business School. From a small office at his home in his Silicon Valley, Khan has produced over 3,000 videos teaching a wide spectrum of academic subjects, mainly focusing on mathematics and the sciences. Three months ago, the Khan Academy channel on You Tube had attracted 400,000 subscribers. This year Time named him in its annual list of the 100 most influential people in the world. For obvious reasons, Sal will not visit us in Santa Rosa but will speak to us by video recording. Mid-December is a busy time of the year, but The Santa Rosarian would be amiss if we did not make note that the date of this weekly issue—12-12-12—is the last major numerical date that uses the Gregorian, or Christian, calendar for almost another century. The next time three numbers will align—as they did on 9-9-09, 10-10-10, and 11-11-11 will be on January 1, 3001 (1-1-1). What about all of the fears, the marriages, births, and major disasters we have heard about? It is called “Numerology”. The delusion is that numbers have a power over events. But do not! As we observed, just because this Wednesday was 12-12-12 doesn’t mean that anything will happen. It would have happened anyway regardless of the numbers. Although this evening’s holiday meeting was overflowing with more than two dozen children, grandchildren, nieces and nephews, only four guests signed the official Guest Register: JoAnn Haymaker, the spouse and guest of Past Present Will Haymaker, Joan Rousseau, who led us the Pledge, the guest of husband and Club President William Rousseau, Mary Miyano, the spouse and guest of Larry Miyano, and Pris Abercrombie, the spouse and guest of Club Secretary Jack Abercrombie. What a happy group of Rotarians, guests, and excited youngsters who all contributed to a wonderful evening of Rotary fellowship, Christmas spirit and excitement! 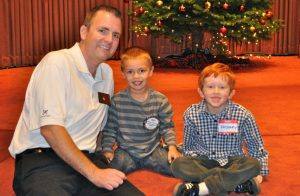 When Matt Everson introduced his young children and his long-time companion Sara Trejo, Wednesday evening, only those paying close attention heard him announce his engagement to Sara. Must be something about Rotary fellowship because two weeks earlier fellow Rotarians Debra Smith and Past President Ray Dorfman announced they were engaged to be married. Point of order: If both couples were married at the same time, that would be a double wedding. Could it be that we are all waiting for…a Trifecta? If you have been a member of this Rotary Club for ten years or more, you might have noticed significant on-going changes in The Santa Rosarian weekly bulletin. From major changes in printing technology, to the quality of photographs and color printing, to improvements in newsletters and general publications, distribution, and content have been revolutionary. In 2003, we started archiving the newsletters online and in 2005, the club hired computer graphics expert Susan Lawlor O’Rourke to keep up with the revolution. 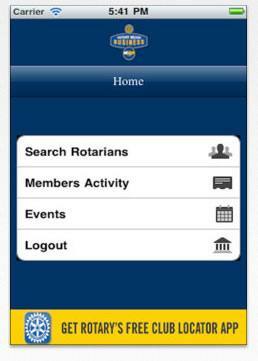 Most recently, Wayne Rowlands volunteered to get involved in Rotary’s digital website and help keep up with technology. 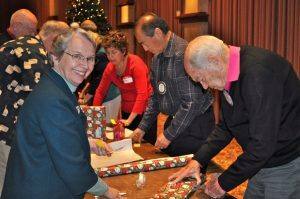 Before Susan changed jobs and moved to San Anselmo, she was made an honorary member of our Rotary Club and has continued to put together the layout and appearance of the 90-year-old Santa Rosarian, but she has not attended Rotary since her move from Sonoma County. 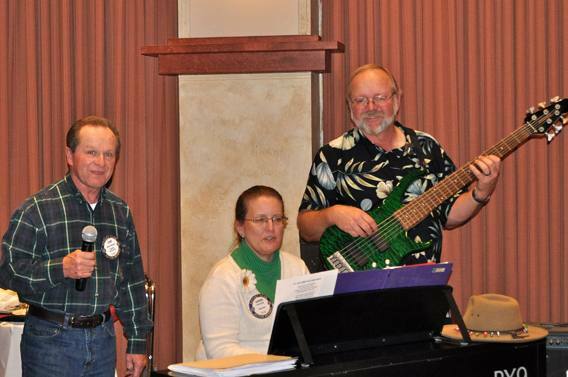 We invited the club’s only active honorary Rotarian to attend this week’s evening meeting. We wanted to introduce Susan to the newer Rotarians and thank her for her years of commitment to the club. Unfortunately, the Novato Narrows is still narrow and the North Bay commute made her late to the evening dinner. 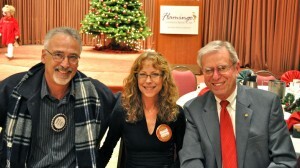 We had time only for her to enjoy dinner, Christmas carols and to visit with bulletin editors Layne Bowen and Jim Johnson. The good news is that Susan continues to do her digital magic every week and we all can enjoy the fruits of her labor. In the hubbub of the evening, most of us listened for our raffle ticket number then resumed our conversations. The Thomas kids–Jocelyn & Zachary—operated the game while Rotarian Ryan Thomas observed this evening’s raffle, with the Jackpot up to $110 this week. Ray Foreaker had the lucky ticket but he missed one of the Jokers needed to win the Jackpot and walked away with his $10 in consolation prize money, headed back to the Eggnog Bowl—presided over by Eileen Carlisle and Nona Lucas. By the way, thanks to both of our club’s every-ready hostesses…whenever we need them. 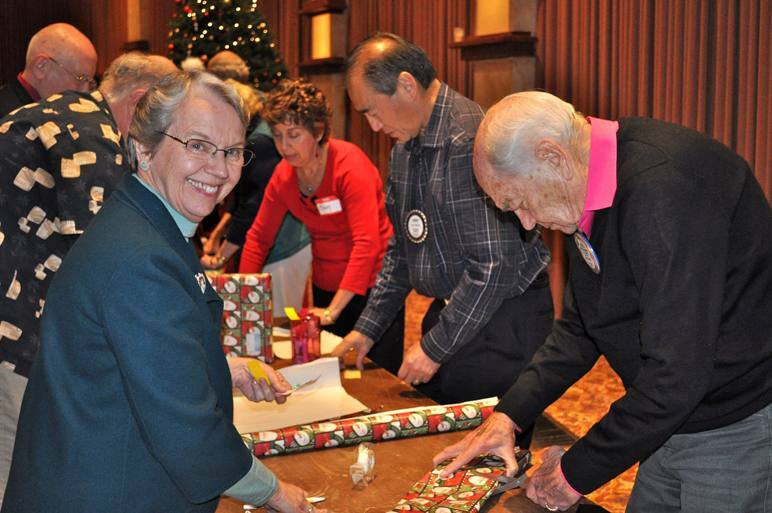 One of the reasons that President Bill abandoned all efforts to maintain control of Wednesday evening’s meeting was the eager anticipation of more than 90 Rotarians and guests to tackle the hands-on gift wrapping project awaiting us in the back of the Flamingo Ballroom. The evening feast was only a brief snack to demolish so we could take on the decoration of gifts for our guests at the festive Christmas Party and holiday performance of the Nutcracker Suite at Spreckels. We were a gift-wrapping phenomenon that nothing could stop. Not even the impromptu holiday songfest that revolved around Chip Rawson, the piano, and his eager assistants. Special thanks to Dennis and Karen Ball for helping Chip with the entertainment. Look at the photographs of all the carolers eager to sing their favorite Christmas Carols, then remember how professional even the youngest guests handled the microphones and the ballroom’s ancient and difficult sound system. This Saturday afternoon our Rotary Club hosts over 100 children selected from six Santa Rosa schools by their teachers. The children will be transported to the beautiful Spreckels Performing Arts Center in Rohnert Park to attend the ultimate Christmas holiday treat of classical ballet and magic—The Nutcracker Suite—presented by the Santa Rosa Dance Theater and Youth Ballet Company. Following this remarkable performance, the children will attend their very own Christmas Party complete with Santa Claus and his helpers distributing individual gift-wrapped presents to each individual child. The new iPhone app is ready for download! Go to the App Store and search for Rotary Means Business. You will find the app. This is HOT! FYI, our club’s webmaster Wayne Rowlands mentioned in passing that RMB International—founded by the Rotary Club of Santa Rosa— reaches into ten foreign countries as we begin our 91st Year. 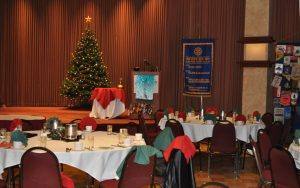 John McHugh announced that we still have space available as escorts for our Rotary Club Hands-on Salvation Army & Redwood Gospel Mission Christmas Feast Distribution. Our shift will be on Saturday, Dec. 22, from 3 pm to 5:30 pm. If you wish to sign up contact John McHugh at. info@winningworkforce.net. Children over 14 years or older are welcome to help. Rotarian Bell Ringer Chair Jock McNeil is still looking for Rotarians to compete with other local Rotary Clubs to man the Christmas kettles and ring the bells on Friday & Saturday, December 21 & 22. He needs your help in the holiday competition to generate the most contributions for the Salvation Army and boost Christmas Spirit for the Salvation Army’s Christmas Kettle campaign. If you can help, call Jock at 975-0805. Giro Bello 2013: The third annual Giro Bello is ready to get organized for next year’s Beautiful Ride on July 6! New chair Doug Johnson has scheduled a brief meeting in the Flamingo lobby area next Wednesday, December 19th, at 11:45, just before the midday Rotary meeting. Doug would like to get a count of those interested in taking an active role in next summer’s fund-raising event. Any questions, please call Doug Johnson (546-5577). Get involved in another great event…join Doug and get organized next Wednesday. Pinot for Polio: Cathy Vicini is offering a matching dollar amount for anyone who buys the Rotary’s Pinot for Polio’s Best of Class winner—the 2010 Pinot Noir—before December 31st. Cathy has 10 cases left at $25 per bottle (10% discount if you buy a case @ $270) and will match any sales with a donation to the Rotary Club of Santa Rosa Foundation. Please contact Cathy at 707-888-8685 or email her at cathy@trecini.com to let her know what you want, and arrange for pick up at her office on 441 Beaver Street, downtown Santa Rosa. By involving family members, Rotarians make their club meetings and service projects more successful and more enjoyable. 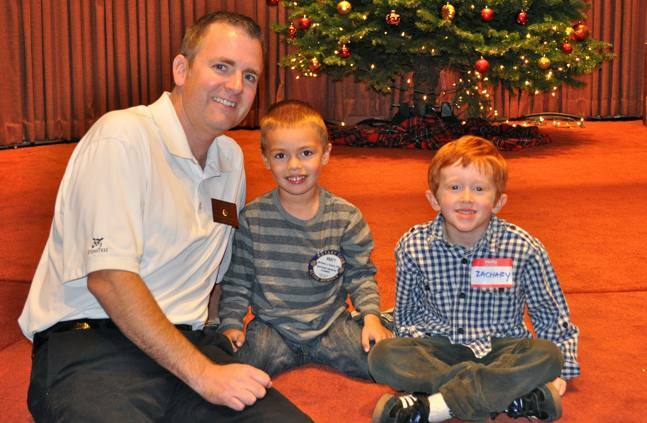 Family Month is an excellent time to invite your children or spouse to Rotary. As mentioned in last week’s Rotary bulletin, Stephan Passalacqua’s mother Joan passed away on November 30th at age 80. A retired elementary school teacher, she was matriarch of a well-known legal family who raised seven children, including three attorneys: Stephan and his brothers Rich and Joe. Stephan’s other siblings include Brian, Matt, Jeff, and his sister Elinor Jane Senn. A funeral mass will be celebrated Friday morning at St. John’s Catholic Church, Healdsburg.